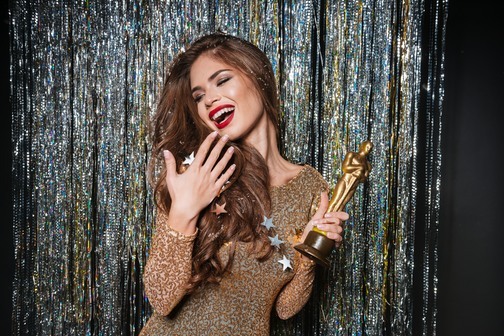 The Academy Awards: And The Winner Is... You! The Academy Award night is here again, and people around the world are holding their breath to see if their favourite actor is going to pick up an Oscar. Screened live in more than 200 countries, the awards ceremony has been on the go since 1929 and is popular among A-list celebrities and armchair judges alike. A celebration of superb performance on the silver screen - what’s not to like? Many actors are nominated for an Oscar yet never receive one, and I have often been left wondering how that must feel. To be shortlisted for such a prestigious accolade, then to have it given to someone else at the last minute must be a powerful experience, and perhaps not always one which is enjoyed, especially if you or others think the Oscar is deserved. Of course, to be an ‘Academy Award nominee’ is an achievement in itself, but the person concerned will still go home without the golden statuette. How would you feel if the spotlight suddenly moved two tables to the right and you were left out of the limelight? In the world of person-centred therapy, there is a concept known as the locus of evaluation, which can take two forms; the internal locus of evaluation and the external locus of evaluation. One of the aims of person-centred counselling is to foster the former in a client, and to reduce the latter. An external locus of evaluation can be defined as ‘a dependence on the judgement of others for appraisal of oneself, generally regarded as less healthy than internal locus of evaluation’ (http://behavenet.com/external-locus-evaluation). Put simply, if you have an internal locus of evaluation, you are more able to tell yourself “well, I might not have won this year, but I’m alright really and I enjoy my acting – maybe next year!” Someone with an external locus of evaluation however may be at the mercy of thoughts such as “I can’t believe I didn’t win, surely they recognise how hard I’ve worked? I can’t believe I’ve failed at this, I’m a hopeless actor!” The first response is more desirable than the second, and more psychologically healthy in the long run. I have worked with clients to lessen their need for approval and so have shifted their locus of evaluation from being almost entirely external to being largely internal. The result can be a steadier outlook, with the person being more able to weather the storm of the fickle opinions of others. If you were going to the awards ceremony with a nomination for ‘best actor’, would you be able to feel OK about yourself, even if you ended up congratulating a colleague instead of giving your own acceptance speech? To have an internal locus of evaluation underpinning your own mental wellbeing - wouldn’t that be worth more than temporary applause? If you did have one, I daresay the real winner - once again - would be... you!